In 2019, Kids Club Early Childhood Learning Centres have partnered with global children’s food expert Annabel Karmel. Annabel Karmel’s vast collection of recipes for babies, toddlers and families have been loved by parents around the world for over 25 years! Annabel is bringing a wealth of expertise and cooking know-how to our centres. Up to 67 per cent of a child’s daily nutritional intake occurs while they are in long daycare. 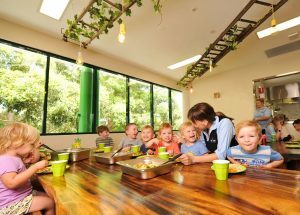 With hundreds of children in our care across centres in Sydney and Canberra, Kids Club knows how crucial it is for babies and children to stay fuelled with the right foods. We think it is about introducing a diverse range of nutritious foods to our children at this impressionable stage. Eating habits and tastes are formed from an early age, so it’s incredibly important to introduce a good variety of foods at the earliest possible opportunity. We want children to get the nutrients they need for their development and long-term health. 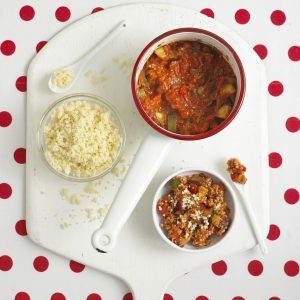 Healthy Nutrition is one of our four key pillars and we recognise the importance of introducing a diverse range of delicious flavours so to encourage good, healthy eating habits for the future. That’s why Kids Club Early Childhood Learning Centres have partnered with Annabel Karmel, MBE to bring a wealth of expertise and cooking know-how to our centres. Recognised all over the world for devising delicious, nutritious meals for babies and children, Annabel Karmel has worked closely with our amazing chefs to ensure mealtimes become a memorable and much-loved part of the day for our children. Our onsite chefs are preparing recipes conceived to packing in plenty of goodness whilst ensuring mealtimes are anything but bland. 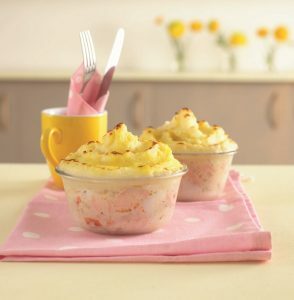 Annabel Karmel and Kids Club have cooked-up a variety of appetising meals that even the pickiest of eater will enjoy. 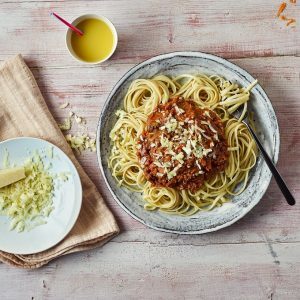 Our menu enables children to experience everything from timeless favourites to yummy hidden veggie dishes and recipes that take a cue from a world of flavours. Getting young children to eat, let alone eat nutritiously, is a challenge every parent knows too well. We want to make mealtime more of a novel event for children. 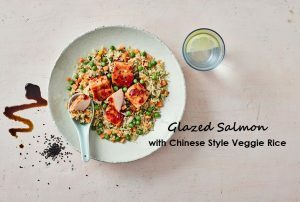 We are offering fresh and healthy foods, something that our chefs and children, and their families can be excited about. To open their pallets up to new flavours and types of foods that would encourage healthy eating habits. Book a Tour in Your Closest Centre Now! The early years are a time when food habits are being developed. As parents, educators and carers, we believe it’s our responsibility to guide our children toward sound food habits. Food should not only be nutritious but also meet the social, cultural and educational needs of children. Indeed, one of our four key Best Start to your child‘s pillars is healthy nutrition and is something we focus on each and every day. Children have their own unique nutritional needs and at Kids Club we encourage and support your child to meet those need through tasty nutritious meals. We put an incredible amount of effort in our Nutritional Menus and prepare everything on-site in our purpose built commercial kitchens. We take your child’s health very seriously at Kids Club, we provide water for them all throughout the day. We also encourage parents to pack water bottles clearly named. Water prevents future teeth problems, tap water helps to develop strong teeth and there is no sugar and not fat. 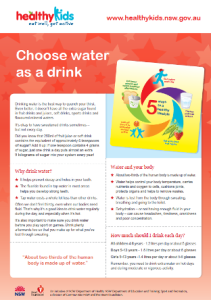 Read this Healthy Kids Fact Sheet for more information on choosing water as a drink. At Kids Club we serve fruit and vegetables with every meal. 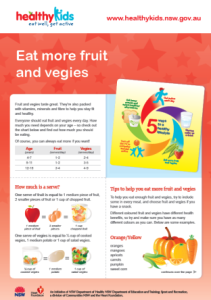 According to Healthy Kids NSW children aged 1-3 should be eating 1 serve of fruit a day and 3 serves of vegetables. For children aged 4-5 2 servings of fruit per day and 4 5 servings of vegetables. Click on this Healthy Kids Fact sheet for more information on children eating more fruit and veggies. 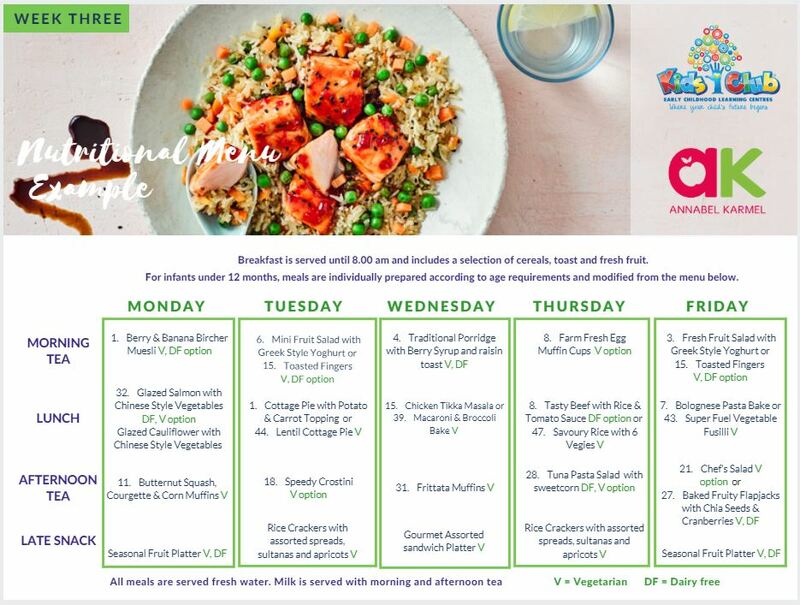 All meals at Kids Club Childcare centres are freshly prepared on-site using high-quality ingredients and following Annabel Karmel’s recipes and a 4-week rotational menu. 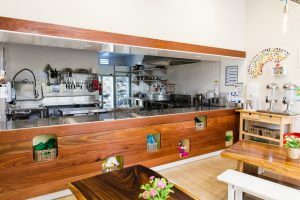 Meals are tasty, nutritious and freshly-prepared by our qualified chefs in order to meet the daily dietary requirements of all attending children. Please ensure that you inform us of any special diets, food allergies or religious requirements your child may have so that we can cater accordingly. Parents will need to supply adequate certification or information from a qualified physician pertaining to a specific diet or allergies. We encourage parents to take time to feed their children breakfast at home as it is a very important part of the child’s day, however, breakfast is provided at the centre. Weekly menus are displayed outside the kitchen. We welcome your input for different recipes or cultural meals. As much as possible, we attempt to cater for individual likes and dislikes, whilst incorporating multicultural tastes and diets. Morning and afternoon tea offers children a wide variety of fresh fruit and vegetables, yoghurt, toasted melts and baked goods, as well as a selection of water or milk. Lunch often consists of a variety of cooked meals or sandwiches and a cool drink. Late afternoon tea is provided for those children who are collected late in the day.